All County Funeral Home and Crematory has provided cremation services to friends and family throughout Palm Beach, FL for over 30 years. Our experienced staff is committed to providing memorial services that celebrate your loved one’s life. Whether you have an immediate cremation need or interested in preplanning your own final arrangements, we are here to help and guide you through the process and help you explore all possible options available. Traditional funeral service followed by cremation - Many families choose to have a traditional casket viewing along with a funeral. After the service, the remains are cremated. It is your families’ decision as to the final resting place for the cremated remains. Cremation with a memorial service – This option allows you to have the memorial service after the body has already been cremated. The service can be held around the urn or it can be scheduled at the convenience of all family members at a later time. Direct cremation – If you are looking for an affordable cremation option, you may want to consider direct cremation. The body is cremated immediately after passing, which is what most people imagine when they think of cremation. A memorial service can be held at a later date if desired. We also offer Catholic cremations. Our staff is well versed in what the church recommends. We understand that funeral rites should be performed in the presence of the body and that the remains not be scattered but treated respectfully through entombment or interment. 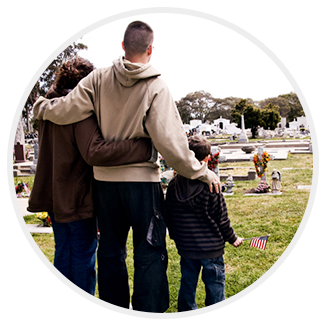 Memorial services can be customized to the needs and wishes of the family. Our staff can help you create a service that pays special tribute to your loved one. The memorial service will create a lasting reflection on the life of the person who has passed. It can be held before or after cremation at our location or at the location of your choosing. Whether your loved one was known for their sense of humor or their love of art, our staff can help you highlight what made them unique and what you will remember them for. Our services can incorporate their personalities into the service, including songs, photographs, religious rituals, or poetry. The memorial service can be completely personalized to your specifications. Whatever your vision, our experienced staff can help make the end-of-life service unfold as you request. Scattering of ashes can be done in many different locations, including in a memorial garden, over water, or across any meaningful site. You may also choose to keep part of the ashes in an urn or for interment and scatter the rest. Interment means that you will entomb or bury your loved one’s cremated remains. There are several options for interment, including a family plot, memorial site, or in a variety of other locations. Our staff can help you choose a proper place for interment. Placing ashes in an urn if you prefer to keep the ashes of your loved one with you wherever you choose. Cremation keepsakes are a great way to continue to cherish their memory for many years to come. Keepsakes come in an almost unlimited variety of sizes and shapes. 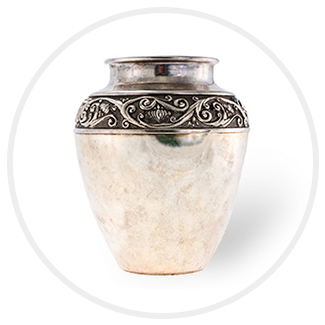 Ashes can be stored in urns, jewelry, paperweights, lamps, and lockets. Photos can be placed in a photo frame urn. When you choose the right cremation keepsake, you will have a constant reminder that your loved one will always be nearby. If you are interested in pre-planning your own final services, we can help. Having your end-of-life decisions made and paid for ahead of time is a great gift to your loved ones. Pre-planning lets you decide how you would like to be remembered and takes a large burden off your family members. Our experienced staff will be happy to help guide you through the process. Why Choose All County Funeral Home and Crematory? When you choose a funeral home or a crematory, you deserve to be in the hands of people who are sensitive to your needs and are ready and able to answer any and all of your questions. As a family-owned business with more than 30 years of experience and a deep connection to this community, All County Funeral Home offers a combination of extensive experience, genuine compassion, and deep sensitivity. When you choose cremation, keep in mind that we are one of the few funeral homes that also operates an on-site crematory. This not only allows us to provide affordable cremation services in the area but also allows for viewings and memorial services created to your specifications. Contact us to learn more about our cremation services and how we can help you prepare for the future starting today.